The Republic of Singapore is a cosmopolitan city state situated off the southern coast of Malaysia. It is comprised of some 63 small islands including the densely populated island of Singapore. 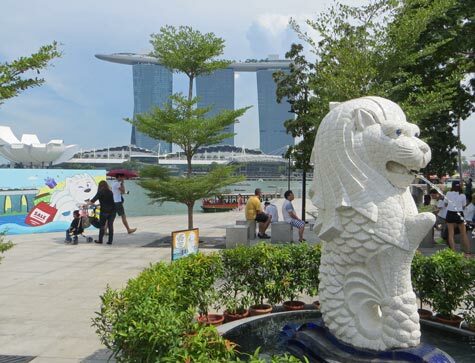 Many of the nation's top tourist attractions are situated in the Civic District, around Marina Bay and along the Singapore River. Other popular attractions are the Singapore's Botanic Gardens, the National Museum and Orchard Road, the world-famous shopping street. The Singapore Changi Airport is the major airline hub in southeast Asia. The Singapore Cruise Terminal welcomes thousands of cruise passengers from Asia and around the world.